I know a lot of people have time off at the moment so I thought I would make this post about entertainment you know books, TV shows and music and what I have been loving in those terms! TV Shows - lets start with this one as I have been currently binge watching various TV shows and though I would list my favourites. I watch a lot online (streaming) as a lot of TV shows I like either don't air overhere or its just more convient to watch online. Big Time Rush (TV show site) - this is my most recent TV show obsession. I was able to pick up the first 2 seasons on DVD quite cheaply from Cash Converters (except the 2nd part of season 2 which I got from JB HiFi). Its a show I love to watch and makes me laugh whenever I watch it, the music (more on that later) is great as well. Hart of Dixie - the last season has just started to air and its well worth a look at. Think small town where everyone knows each other and a new doctor who is learning the difference of working in the city and working in a town where everyone knows eachother. 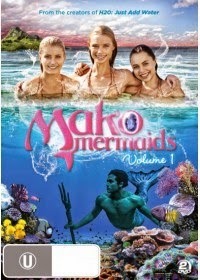 Mako Mermaids - I think its every girls dream to be a mermaid at some point and this show is great. Its a sister series to H20 Just Add Water in regards to the location, but it allows a better look into the already existing mermaid (and merman) world. The second season is due to air soon and from what I have seen it looks amazing. Degrassi: The Next Generation - this is my guilty pleasure in terms of TV and its one of the only shows that has perfected the art of bringing in new characters and saying good bye to new ones flawlessly. Its a teen drama but I could watch it non stop. They also bring up relevant issues in such a way that you get educated on them without realising it and you get to see the it from various points of view. Saving Hope - I never thought I would like a hospital drama that is so intense and stomach churning. In the beginning I did have to watch all the surgery scenes through my hands but now I can watch most without covering my eyes. The characters are great and likeable and I like the way how you get to see various areas of the hospital. Music - this list is quite short as I tend to listen to the same artists for ages and rarely buy new music. Currently I have been listening to these two main bands. 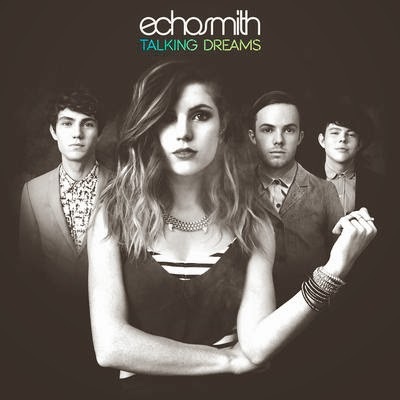 Echosmith - I love these guys and did a review on their debut album here. Their music is alternative but its addictive and catchy as well. I have often found myself singing their single Cool Kids at random points in the day and yes I know it get played lots of the radio but you need to check out their album now! Big Time Rush (music site) - I totally play their CDs in the car and will sing along to them at the top of my voice. All 3 of their albums are good and I love listening to them at night when I need background noise while reading blogs and mucking around on the internet (which is most nights). Yes they are a band linked to a TV show which has since long ended but their music is really catchy. One of their members has released a single album so I intend to check that out soon. Books and Authors - I am a book worm these are some of my favourite recent reads and authors. I read a wide variety of books in different genres so there should be something for everyone. 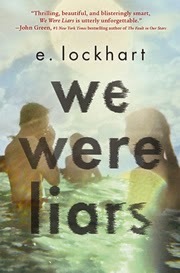 We Were Liars E. Lockhart - I heard great reviews about this book so when I was able to download it from the library I did. 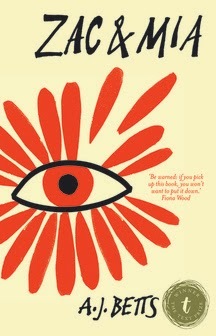 Its a great read in general but the end is what makes it so good and once you start you can't stop reading it. Zac and Mia A.J Betts - I was shopping with my youngest sister on Tuesday and she was picking up some books to read (she had some vouchers to spend) and she wasn't sure whether to get this book or not, she decided against it so I bought it. This book is a great read and though it has been compared to The Fault In Our Stars its far less depressing and far more realistic (yes I am one of those few who did not like The Fault In Our Stars!). I found both Mia and Zac relatable and felt by the end of the book they were people I knew in real life rather than just characters in a book. Denise Hunter (author) - I was in a rut when I discovered her books in the e-library and the ones I have read have been good reads. I found that the storylines were compelling and that I could relate to each of the characters in their journeys with trusting God and with their lives. I also loved the settings of each book and felt by the end of reading each one I had had a mini holiday. I have read her Chapel Springs series, Big Sky Series and some of her Nantucket Series books. I had all intentions of doing movies but time ran out and I am lucky to have even gotten this posted today! As you can tell I like a wide variety of genres so hopefully there is something for everyone in the list.